Treadmill training is among the easiest aerobic exercises. 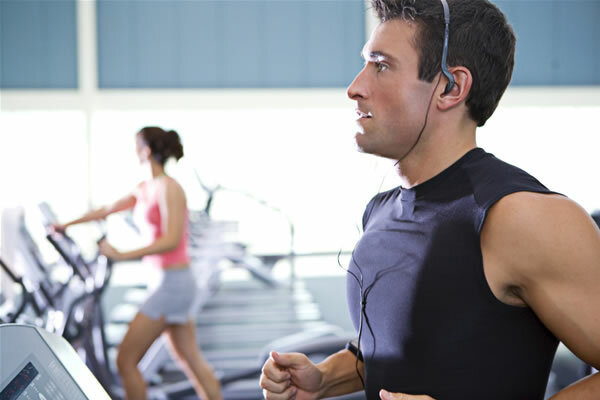 Nevertheless, you should be aware of some best practices about the safe use of the treadmill. If you have a treadmill that has the automatic stop feature, or features to keep away unwanted users take advantage of them and use them. If you have children, place the treadmill in a separate room that you can lock. The children consider the treadmill as another game. When the treadmill is in operation mind your children or pets not to come close to the moving belt. When not exercising on the treadmill it should be switched off. Do not let the treadmill running if you are not using it, nor for a moment, nor to lift the phone. Always position your feet on both sides (outside the boundaries of the belt) of the treadmill when it is starting. Then step on the moving belt only when you are sure that it is moving in low speed. It is best to hold on the treadmill handles for balance until you get used to it, once you feel comfortable you can leave them. The move becomes more natural if your hands are free. Your feet have a tendency to follow your gaze, so if you focus on something that is in front of you, your motion will be focused forward instead going left or right. If you walk too fast your leg can be found in the cap of the treadmill motors, whereas if you walk too slow you will slip out of the treadmill. The first time you use the treadmill you may feel slightly dizzy when you step out. This is because your body is not accustomed on walking with out actually moving and it is wondering why the ground stopped moving. Most people feel this dizzy once or twice. The tips below will help you in buying a treadmill that suits your needs and also a treadmill that will help you achieve your exercise goals. The motor horsepower of a treadmill is important but equally important is the quality of construction, so as to ensure long-term operation. You will have noticed that most treadmill sellers mention two power levels, a stable (e.g. 2.0hp) and a peak (e.g. 4.0hp). The first is the real horsepower of the motor while the second one is the maximum horsepower the treadmill can achieve temporarily. 8. Does the weight of the person plays a role in the selection of a treadmill? The A and Z in choosing the perfect treadmill is the right match between weight of the user and the capacity of the treadmill. Of great importance is the time that the treadmill can work with out stopping and the running pace (should not hold down the belt but to follow the pace). The manufacturers usually estimate 1 hour of continuous exercise. But it is preferable, depending on the weight of the user not to run more than 50 continuous minutes. There is a relationship between user weight, exercise duration and type of treadmill. 9. What should I do to maintain my treadmill in good condition? For proper operation and a long lasting treadmill is essential to grease the bottom of the running belt at regular intervals, as the frequency of use. The greasing of the belt is something that can and should be done by using silicone spray. The greasing should be done in every 20-30 hours of operation. 10. What treadmill to choose? Selecting the right treadmill is determined by the user’s weight, number of different people that will use the treadmill, and the highest desirable time of continuous operation. Weight of the treadmill: The weight of the treadmill indicates the rigidity and quality of construction and it is an indication on whether it can be used by overweight people. The weight of the corridor ranges from 60kg to 130kg. The good 2hp treadmills, are weighing between 85-110kg. Rolling Cylinders: The bigger the rolling cylinders are the better is the performance of the engine. The sizes vary from 1,6 mm up to 3mm. The floor: There are many types of flooring, from 15mm to 26mm. The appropriate combination of temperature and quality of the treadmill floor reduces friction and increases the life of motors. 11. What breaks more easily in a treadmill? What should I pay attention? The most likely parts to be broken by the use of the treadmill are parts of the motor and possible damage on the treadmill floor. If the user does not cause any damage with a direct impact on the functioning of the treadmill, then the damage is normal. Yet certainly the most common damage is to the electronic boards that are destroyed because of the variations in electricity supply. The only way to protect your treadmill is to remove it from the plug just after you finish the exercise, in addition for more security you can use an electric power stabilizer between the treadmill and the power outlet.